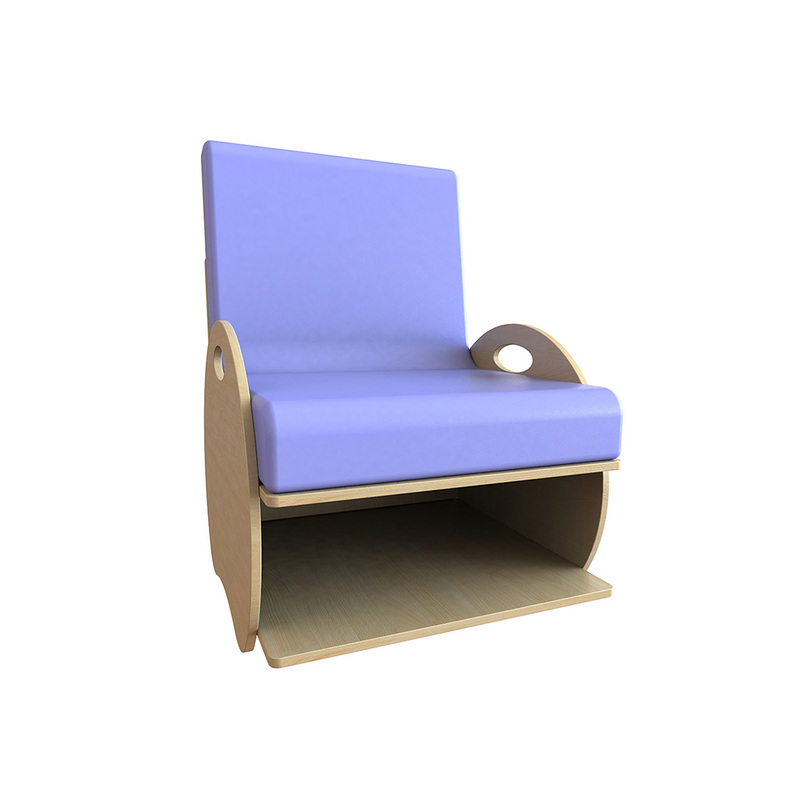 Ideal for use in schools, nurseries, pre-schools and in homes, the Kids Armchair Soft Seating features storage both at the rear and under the seats perfect for books, magazines and soft toys. Manufactured using maple wood grain melamine board that is durable and easy to clean. The high density foam seats provide a soft but firm and supportive seat for early year’ children and the easy clean surface can be wiped clean, or removed if required. The purple coloured high quality covers are fire resistant and feature strong seams for increased durability.